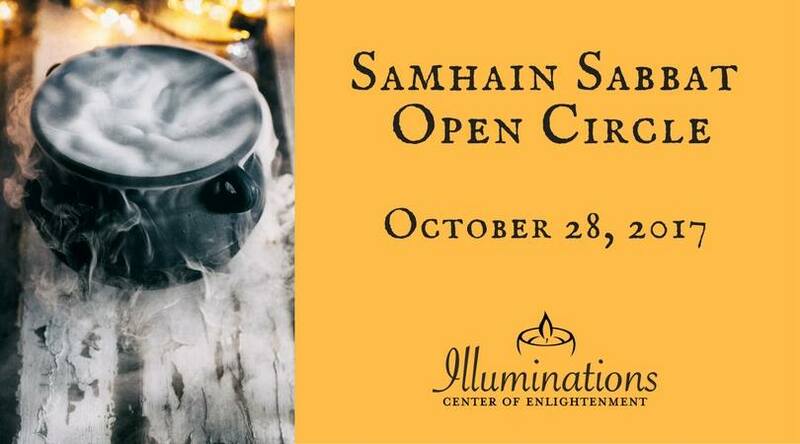 Introduction to Witchcraft Series: Samhain Sabbat (Greater) Open Circle - Illuminations! The circle to open to anyone, but it is also an experience for students in the witchcraft series. The circle will provide a moment of remembrance and the opportunity to write down a memory from the year past. This may also include any loved ones that you with to give a message to. Why is remembrance important? Remembrance is important to understand what lessons you have learned over the year. Remembrance is also good for letting go. Think of barriers you had to overcome to grow and learn. What to expect during circle: On each seat will be a small slip of paper. On the paper, you will have an opportunity to write down something of remembrance. A moment of remembrance that you wish to let the universe know about. James will start out by casting a circle. After the circle is cast, he will call for the elements to be part of the working to protect all in the circle. Once the elements have been invited, he will go around collecting the paper from each person. James will make some statements about the Sabbat that will include both parts of remembrance and the start of a journey. All slips of paper will be offered to be burned over charcoal in a bowl. The paper will be burned to be released to the universe and the messages on the paper will be released or received as appropriate.